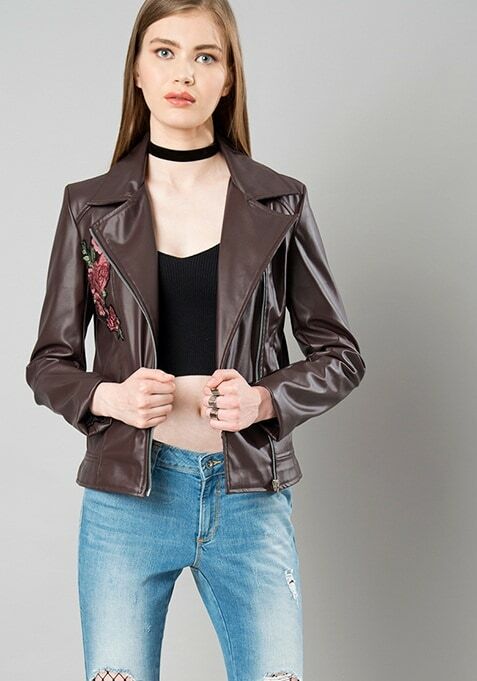 Exude a fun and funky vibe with this Embroidered Leather Jacket in classic Brown. Exhibiting an attractive spread collar design and full zip closure, you just can't go wrong with this one. Work It- Combine it with a dress or a pair of Jeans to score high on fashion.